Living Warbirds | Airplane Videos | Airplane Pictures | Military Aircraft Information | Airplane Video | Airliners | Aviation History | Over 10,000 Airplane Videos and Growing! Warbird is a term used to describe vintage military aircraft. Although the term originally implied piston driven aircraft from the World War II era, it is now often extended to include all military aircraft, including jet powered aircraft, that are no longer in military service. Vintage jet aircraft in flyable condition, however, are much rarer due to technical complexity. Sometimes, the term "Warbird "also applies to newly built replicas of vintage aircraft, such as Allison V-1710 powered Yak-9s from Yakovlev, Me 262s built by the Me 262 Project and FW 190s by Flug Werk. Restored warbirds are a frequent attraction at airshows. Highly modified as well as "stock" warbirds can also frequently be seen at air races, since late-war fighter planes are among the fastest propeller-driven planes ever built. The most popular warbirds for races seem to be the P-51 Mustang, the Hawker Sea Fury, the F8F Bearcat, the T-6 Texan and the F4U Corsair. 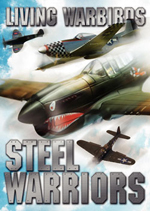 Sometimes the term warbird is mistakenly separated into "war bird" or "war birds". Military aviation is the use of military aircraft and other flying machines for the purposes of conducting or enabling warfare, including national airlift (cargo) capacity to provide logistical supply to forces stationed in a theater or along a front. Air power includes the national means of conducting such warfare including the intersection of transport and war craft. The wide variety of military aircraft includes bombers, fighters, fighter bombers, transports, trainers, and reconnaissance aircraft. These varied types of aircraft allow for the completion of a wide variety of objectives. Heavier-than-air aircraft were first used in the military in the Italo-Turkish War in the Libyan theater. Those aircraft were used primarily for reconnaissance. Since then, aircraft have been able to take on a wide variety of missions. The last two decades were characterized by incredible advances in electronics, stealth technology, and both offensive and defensive systems. Today, the Air Force is the first line of defense against an attack in high technological warfare. They are also usually the first to engage an enemy. Attack aircraft are what the U.S. Navy and Marines have traditionally called their light and medium bombers, such as the A-7 Corsair II and A-6 Intruder respectively. The U.S. Air Force labels their light ground attack aircraft like the A-10 Thunderbolt II, as "fighters", even though they have virtually no air-air capability. Bombers are normally larger, heavier, and less maneuverable than fighter aircraft. They are capable of carrying large payloads of bombs. Bombers are used almost exclusively for ground attacks and not fast or agile enough to take on enemy fighters head-to-head. A few have a single engine and require one pilot to operate and others have two or more engines and require crews of two or more. A limited number of bombers, such as the B-2 Spirit, have stealth capabilities that keep them from being detected by enemy radar. An example of a conventional modern bomber would be the B-52 Stratofortress. An example of a WWII bomber would be a B-17 Flying Fortress. Fighters are fast, highly maneuverable, and capable of destroying enemy aircraft and ground targets. Their main role is air-to-air combat, offensive or defensive. The U.S. Navy and Marines reserve the term strictly for air-air platforms, while the U.S. Air Force calls all of their 1-2 man combat aircraft "fighters". Escorting bombers or other aircraft is also a common task. They are capable of carrying a variety of weapons, including machine guns, cannons, rockets, guided missiles and bombs, depending on the mission. They can also be used to provide support for friendly ground troops. Some fighters, called fighter-bombers, are able to carry conventional or nuclear weapons far behind enemy lines to strike priority ground targets. Many modern fighters can attack enemy fighters from a great distance, before the enemy even sees them. Examples of air-superiority fighters include the F-15 Eagle and the MiG-29. 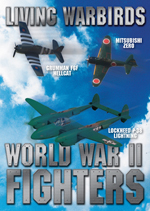 WWII fighters include the P-51 Mustang and Bf 109. An example of an interceptor (a fighter designed to take-off and quickly intercept and shoot down enemy planes) would be the MiG-25. Reconnaissance aircraft are primarily used to gather intelligence. They are equipped with photographic, infrared, radar, and television sensors. These aircraft may be specially designed or may be modified from a basic fighter or bomber type. Some are equipped with special electronic gear for detecting submarines, such as sonar, and others can give early warnings of enemy approach. Due to the growing number and reliability of satellites, most reconnaissance aircraft are quickly becoming useless. Reconnaissance aircraft are normally fastest aircraft in the military--an example being the SR-71 Blackbird and the U-2. Logistics aircraft are primarily used to transport troops and war supplies. Cargo can be attached to pallets, which are easily loaded, secured for flight, and quickly unloaded for delivery. Cargo also may be discharged from flying aircraft on parachutes, eliminating the need for landing. Also included in this category are aerial tankers; these planes can refuel fighters, bombers, and helicopters while in flight. An example of a transport aircraft is the C-17 Globemaster III. A WWII example would be the C-47. An example of a tanker craft would be the KC-135 Stratotanker. Helicopters may be used to transport troops, attack targets, provide support, deliver supplies, and search and rescue. The ability of helicopters to land and take off vertically gives them the option to land in areas fixed wing aircraft would not be able to access. An example of a military helicopter is the UH-60 Black Hawk. Experimental aircraft are designed in order to test advanced aerodynamic, structural, avionic, or propulsion concepts. These are usually well instrumented, with performance data telemetered on radio-frequency data links to ground stations located at the test ranges where they are flown. An example of an experimental aircraft is the XB-70 Valkyrie. Many aircraft today have a multirole ability. Normally only applying to fixed-wing aircraft, this term signifies that the plane in question can be a fighter or a bomber, depending on what the mission calls for. An example of a mutirole plane is the F/A-18 Hornet. A WWII example would be the P-38 Lightning. Where they exist, air forces are usually tasked with the air defense of a country, as well as strategic bombing, interdiction, close air support, intelligence gathering, battlespace management and transport functions. Air Force operations may also include space-based operations such as reconnaissance or satellite operations. Militaries may have a branch dedicated to aviation (an air force) or may distribute aviation between other branches such as the army or navy. Even when a country has a dedicated air force, the other branches will generally utilize aviation. Vintage Warbird Restoration or classic aircraft restoration is the process of taking exotic and complex aircraft from the World War II and postwar era, and performing processes such as maintenance, repairs and refurbishments in order to restore these military aircraft to their original wartime state. To get these classic jets to their peak performance, maintenance checks performed by certified examiners that specialize in this specific class of aircraft, have to be performed at least once a year. During a standard maintenance check, the examiner looks over every aspect of aircraft maintenance, construction and parts involved in the assembly of the aircraft. For instance, each nut and bolt used in the restoration of the warbird has to be government certified. Restorers cannot go and purchase a bolt from the local hardware store; they have to purchase the supplies from approved catalogues and retailers. After the flight examiner has gone through the government-issued list of tasks to check over, he or she will take the plane up for a test flight to make sure everything is the way it should be. If everything checks out, the examiner will sign the airplane off in the plane’s log book. Every aircraft has its own individual log book, and many times this book is just as important as the actual aircraft itself because it gives a detailed history of everything you need to know about the aircraft such as where and when it was made, how many hours it has been flown, and any accidents that have occurred in it. Examiners spend a great amount of time looking over this log book, which goes along with just one of several tasks on which they focus intently. Many classic jet examiners are only certified in one particular aircraft because there are so many components involved. After signing the log book of the aircraft, the examiner is then able to teach the potential pilot all the specifics about flying the warbird, and eventually he or she will sign the new pilot off. This means the new pilot is legally able to fly that specific aircraft. When beginning the process of checking out a potential pilot, the examiner has to make sure that prerequisites have or will be met by the intended pilot. For example, the pilot has to obtain 1000 overall hours in a certified aircraft, and take a practical test that takes roughly an hour and a half to complete. The Practical, which is actually flying with the examiner and doing specific skills, is dictated by a written manual issued by Washington D.C. called the Airline Transport Pilot Practical Training Standards (ATP, PTS), as well as an oral test that usually takes about an hour. On top of these assessments, the examiner focuses intently on the attitude and judgment of the new owner pilot because once a license is issued, it can not be revoked without bringing legal matters into effect. This whole process is called a “type rating” and means that the pilot is only certified in that particular aircraft. If a pilot wants to become certified in another type, he or she will have to go through the exact same process for each different aircraft, which can become very costly. After this tedious process of getting checked out in a classic warbird is finished, the certified pilot is able to put this new accomplishment to use. Flying in a warbird is quite an achievement, and it is easy to understand why being humble about this might prove to be difficult. Warbird Restoration is most closely focused with ensuring the long lasting survival of these vintage, exotic components of history to ensure their popularity for future generations. So many one-of-a-kind aircraft have been found and restored to their original state in hopes of preserving their significance in history. Finding the aircraft and resources needed to restore these warbirds may prove to be difficult for many of the people involved in restoration. Many enthusiasts and restorers learn that working on a restoration project means trips to junkyards, bargaining and trading for parts and skills, or begging with anyone who has a needed item. Some have even opted to rummage through old crash sites to find spare parts. If a part was unattainable, local businesses may sometimes replicate the part to the best of their abilities. Although this is a very time consuming, in-depth project, many have flocked to this process whether it is as a hobby or profession. There are now at least 500 different companies that focus on aircraft restoration alone, and it is continuing to grow. Experimental Aircraft Association (EAA) was founded in September 1953 in Milwaukee, Wisconsin. The primary focus of the group started with building individual airplanes, and it soon grew to include antiques, classics, warbirds, aerobatic aircraft, ultralights, helicopters and contemporary manufactured aircraft. Warbirds of America (WOA) is a non-profit organization formed in 1966. A year after its start, it became a branch of the EAA. Federal Aviation Administration (FAA) focuses predominantly on the safety involved in aviation as a whole. This administration was brought into action when the Air Commerce Act of May 20, 1926 was formed. The Act charged the United States Secretary of Commerce with fostering air commerce, issuing and enforcing air traffic rules, licensing pilots, certificating aircraft, establishing airways, and operating and maintaining aids to air navigation. Classic Jet Aircraft Association (CJAA) founded in 1989, works with the federal government, specifically the FAA in Washington, providing valuable input to law and regulation makers. All these different clubs and organizations primarily focus on group members communicating back and forth on any information pertaining to technical expertise, flight training, safety, and maintenance. 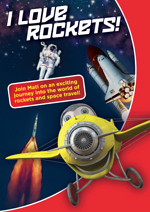 One of their main goals is to establish a library devoted to the history of aviation and to the construction, repair, restoration, maintenance and preservation of vintage aircraft. These organizations allow aviation enthusiasts the opportunity to share information, stories, and their passion of aircraft quickly and easily. Other great information you can find on this site: EAA Warbirds, Zenos Warbirds, Warbird Exchange, Planes of Fame Warbirds Museum, Warbird Exchange, Warbird Information Exchange, and much more. These are the types of videos you can watch on this website: video airplane, planes videos, aircraft aviation videos, watching airplanes video, airplane aircraft, airplane clips, airplane planes, aeroplane airplane, warbird crash, airplane crash video, cockpit video, airplane takeoff video, and airplane landing video, and simply all airplanes video. 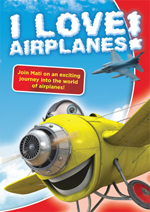 These are the best aircraft DVDs you will ever watch: Aero DVD, Planes DVD, Plane DVD, Aircraft DVDs, Boeing DVD, Planes DVD, Spitfire DVD. 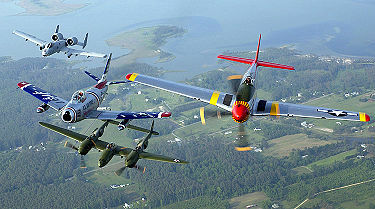 If you are looking for warbirds com and warbird com, www.livingwarbirds.com is your destination.